BLT pasta salad with ranch dressing, the best summer recipe and one of my absolute favourite salads. Satisfying enough to make a meal of its own, or the perfect side dish for a smokey BBQ, or a lovely picnic. Ah, don’t you just love quick recipes that taste just fabulous? Salads season is just around the corner, and I’m so looking forward to it. Of course you can enjoy a big bowl of salad anytime of the year, but in summer you get the perfect excuse to spend as little time in the kitchen as possible. Who wants a hot dish on a hot day? No way l’m staying in the kitchen, so preparing something quick is a must. After all, there’s so much to do outside. If you like a BLT sandwich, you’ll love this salad: crispy bacon, fresh tomato and lettuce, good old nation’s favourite pasta and a finger-licking ranch dressing. I decided to get the ready-made dressing, rather than making it myself, sometimes shortcuts are just fine and you shouldn’t feel too bad about it. We do have busy lives, so there you go. 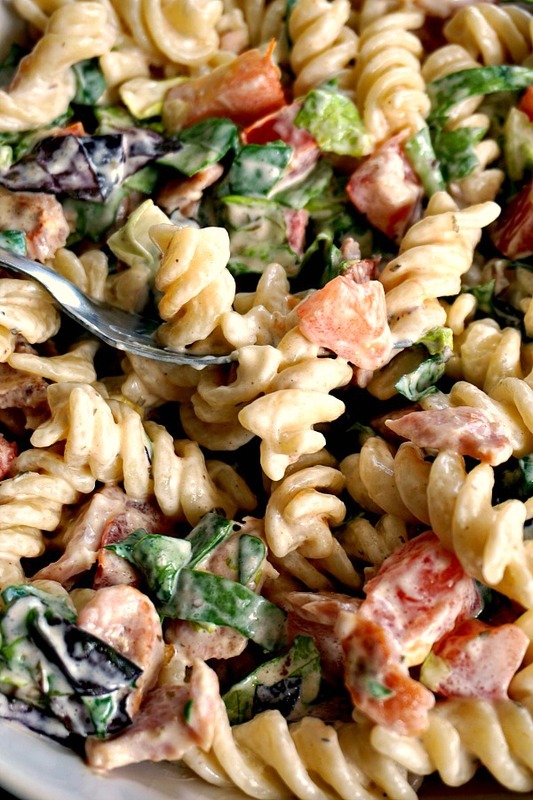 BLT pasta salad is pretty popular, and l can see why. 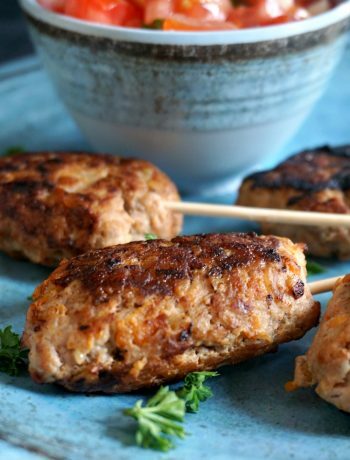 Easy to make, tasty and filling, it makes the ideal dish either for lunch or dinner. You can even make it the night before and store it in a plastic container, and that’s your lunch at work. Pasta needs to be really cold for this salad, otherwise the ranch dressing will taste yucky. Same goes for the cooked bacon and the other ingredients. 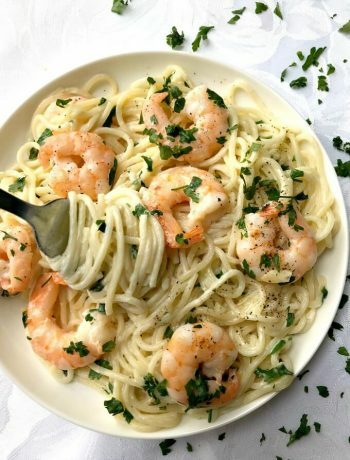 You can either cook pasta and leave it to cool down, or even better, use any leftover if you happen to have some. Add some red onion too if you like, l did not use any as l don’t stomach raw onion too well. If you take this salad to a picnic, make sure you store it in a cool container, so it can keep cold, the taste will be so much better. If you fancy other pasta salads, how about my Salmon Pasta Salad (No Mayo)? Or the beautiful Cold Chicken Caprese Pasta Salad? 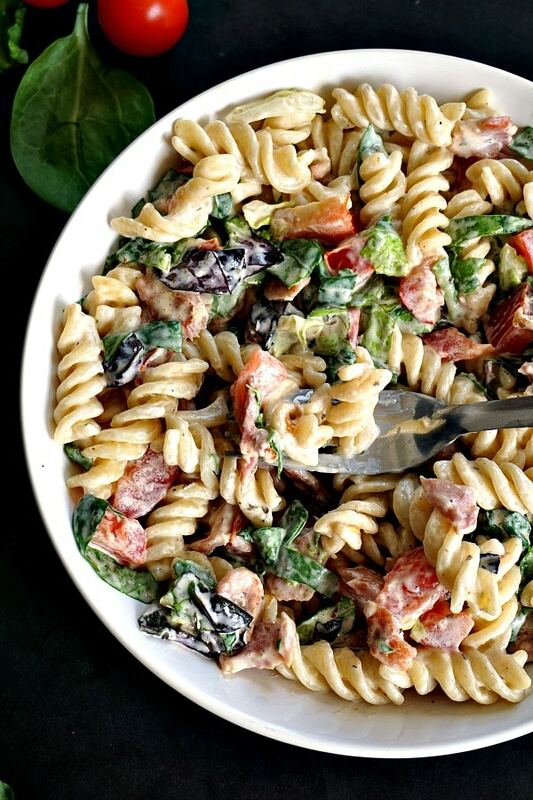 If you’ve liked my BLT PASTA SALAD WITH RANCH DRESSING or any other recipe on the blog then don’t forget to rate the recipe and let me know how you got on in the comments below, I love hearing from you! You can also FOLLOW ME on FACEBOOK, and PINTEREST to see more delicious food and what I’m getting up to. 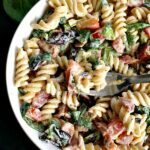 BLT pasta salad with ranch dressing,a tasty and satisfying 20-minute recipe, perfect side dish for a smokey BBQ or a picnic. 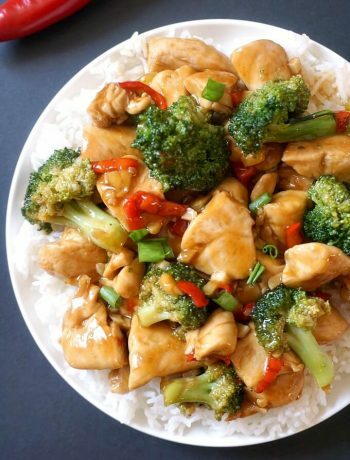 Also great as a packed lunch or quick dinner. Cook the pasta according to the packet instructions. Drain the water and set aside to cool. Chop the tomatoes, lettuce and spinach. Heat up a frying pan and cook the rashes of bacon on both sides until done. Remove from the pan and tear them into small pieces. In a bowl, add the pasta, tomatoes, lettuce, spinach and bacon, season with salt and pepper and add the ranch dressing. Toss well to coat, then keep in the fridge until ready to serve. Thank you, bacon does make it better ? YUM!! BLT salad is one of my favorites. Love it!! I’ve always loved BLT sandwiches so can just imagine how tasty this recipe is! It’s really nice, am sure you’ll like it. I love the simplicity of using ranch dressing here! You just turned everyone’s favorite sandwich into a very accessible salad! I need a salad recipe for this weekend and this will do! Thanks for sharing! Thank you, Quinn! I hope you’ll like it! There’s just something about summer that makes all salads even more exciting, right?! Maybe it’s the summer grilling parties and picnics and all the wonderful time with friends and family – yes! 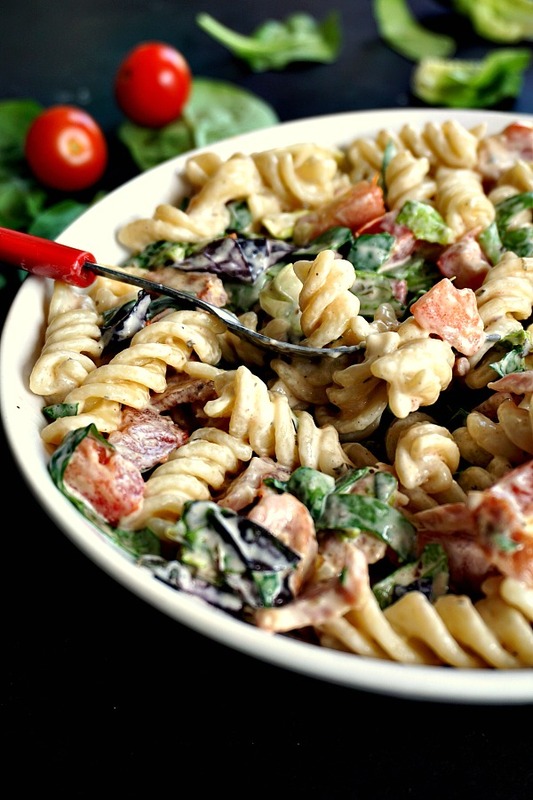 This BLT pasta salad has to be on the menu for sure as a side for all the summer parties! The flavors are so delicious! Omg. Blt sandwiches & salads are always a part of our summer in the south! Can’t wait for the fresh produce to be ready. Thank you, Sandy! It’s a lovely salad, l can see why is popular.